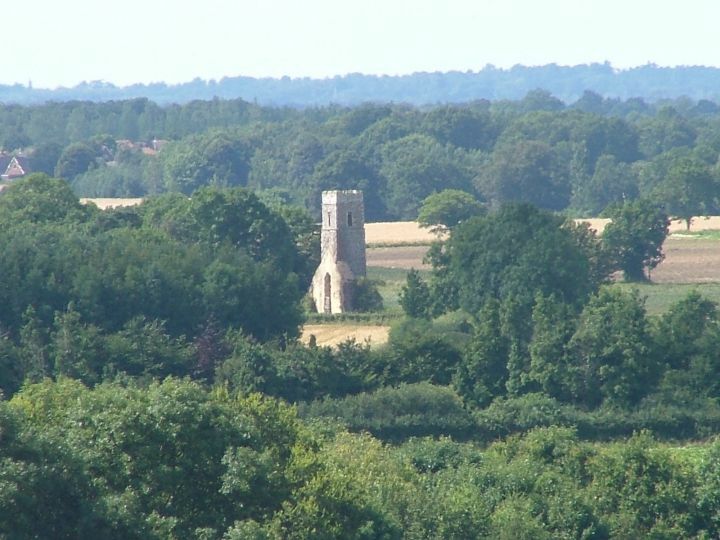 Panxworth is a fairly prosperous village just outside of Ranworth, and the ruin of All Saints is a landmark easily seen from the top of Ranworth tower. 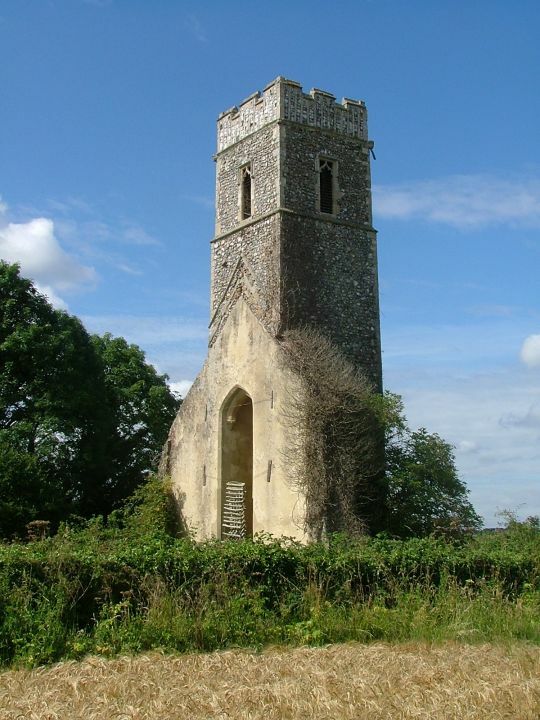 From three sides you might think that Panxworth's remains are simply a 14th century century tower and a few gravestones, but there is more to it than that. The eastern face has a very curious archway set against it. This is, in fact, Victorian, and is a clue to understanding why this medieval structure comes to stand alone now. In common with many East Anglian churches, All Saints was in a bit of a state by the early 19th century. As explored in the introduction, the Victorians enthusiastically took them to task, and some restorations were more sensitive than others. Here at Panxworth the nave and chancel were completely rebuilt. The architect was James Weston, and it was a fairly early rebuilding of 1847. He seems to have left the tower alone. The Victorians meant well, but they created a massive glut of buildings out of all proportion to CofE needs. The miracle is that the Anglicans sustained ministry in so many for so long. 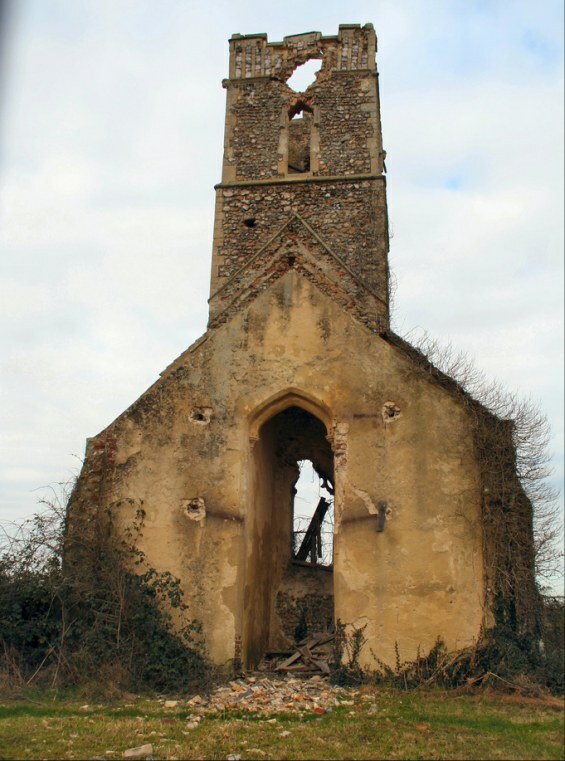 But it could not last forever, and in common with many others this church was declared redundant in the 1970s. Less significant churches that could not find a new use were doomed. 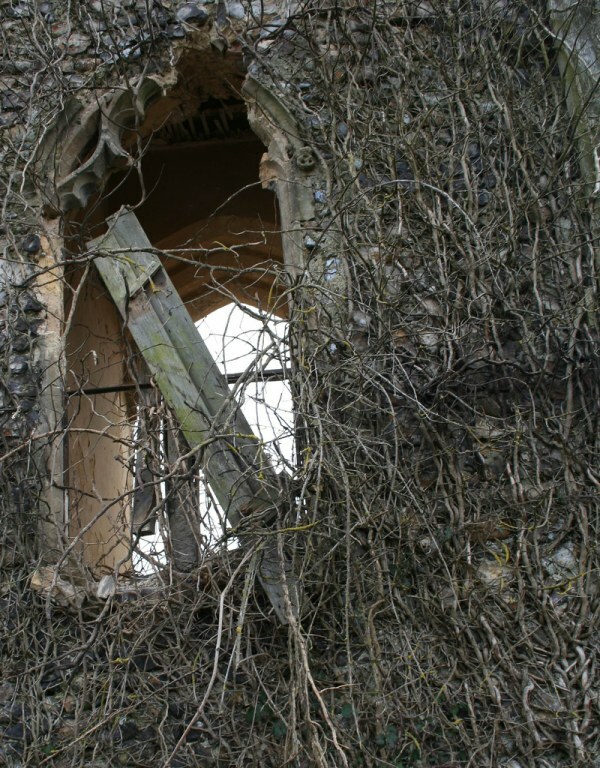 Many Victorian churches fell foul of this, and one of them was here at Panxworth. 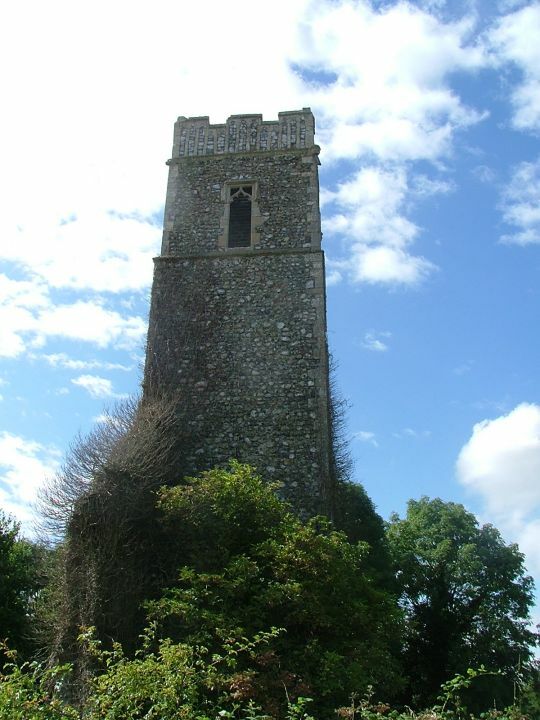 The 14th century tower was left in isolation; all that survives of Weston's church is the tower arch, a ghostly remnant. The entrance to the tower is blocked off with an ugly, useless fence. 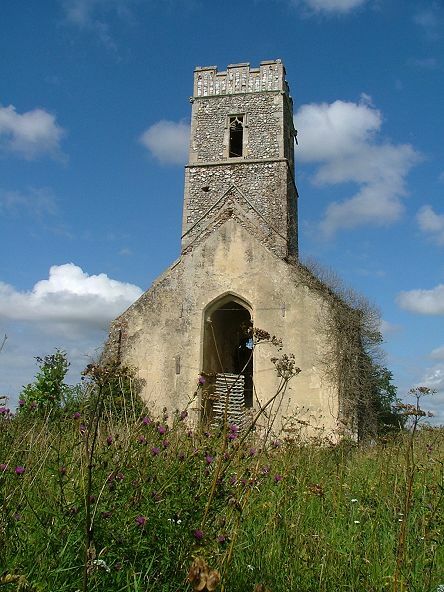 Where generations worshipped is now a wasteland, albeit attractively overgrown with wild flowers. Poignantly, several of the gravestones are still tended. 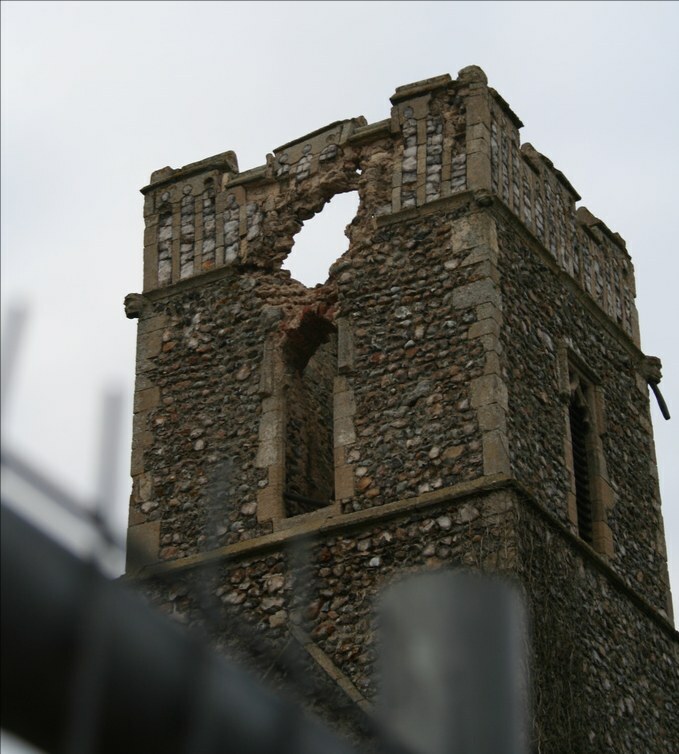 Postscript: In February 2006, John-Henry Collinson, a photographer of Norfolk churches, contacted me to tell me that Panxworth church tower had been struck by lightning during the winter. You can see his images of the effects of this below. John-Henry, who grew up locally, tells me that Panxworth church was notorious even before it was deconsecrated. There were all sorts of lurid stories about it being used by Satanists; some of which even made the press. 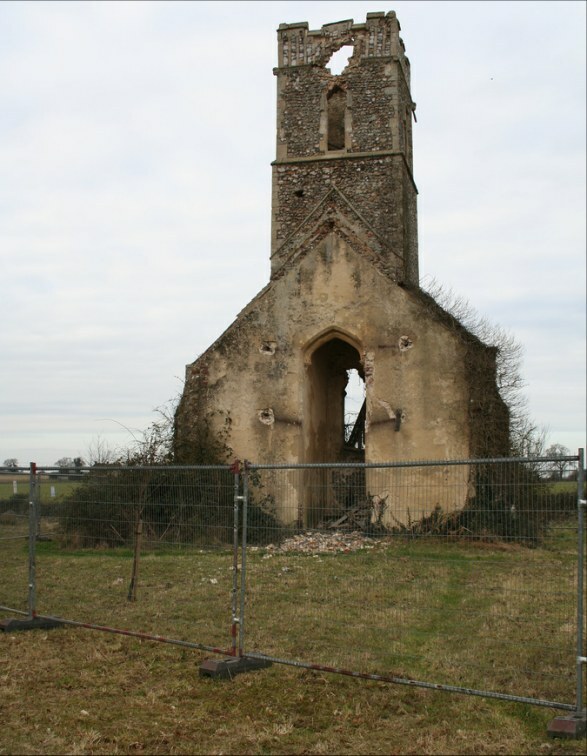 Unlike Rackheath Church (which I have also photographed on Flickr) there was something about Panxworth Church that meant it was unloved and never had the same kind of supporters that Rackheath had/has both to keep an eye on the building and to fight its corner. You can see more of John-Henry's photographs at Flickr.